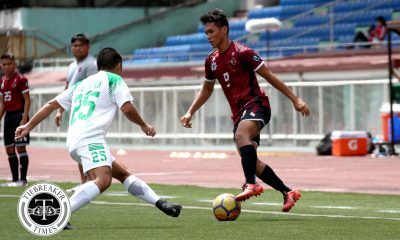 OutKast FC felt at home in Rizal Memorial Stadium last Saturday when they returned to action with an emphatic win over Kaya FC, securing their spot second of the table before the league goes on a break. Jennizel Cabalan picked up where she left off scoring after a quarter of an hour off a Cristel Seed assist. Nearly another quarter later, she doubled OutKast’s lead. Then in the 35th minute, Sharmine Siaotong chipped in the team’s third goal. Three minutes after halftime, a free kick situation saw Alesa Dolino’s shot bend around Kaya’s yellow wall. In the 65th mark, OutKast were awarded a penalty over an odd call on Kaya’s keeper, which Barbie Sobredo was tasked to deliver. Her spot kick was saved by Maye Mendaño, but the shot was too strong and Sobredo collected the rebound to put away OutKast’s sixth goal. Ten minutes later, a pass from the back dropped Cabalan’s way en route to netting her first league hat-trick. Kaya were awarded a penalty of their own after the referee whistled for another questionable foul in the box in the 79th minute, which Glynnes Dela Cruz converted from the spot. With three minutes left on the clock, OutKast had one last say when Lindsay Whaley fired her team’s seventh goal from way out. Even with her team’s convincing win, Cabalan admitted that the team was in fact out of sorts. “Masaya [sa panalo] pero sinasabayan lang namin yung laro nila, medyo parang magulo din kami. Kasi first ulit namin na laro after ng last game. Ngayon lang ulit kaya parang sobrang magulo kami. Siguro yung iba nanggigil,” she shared. Manager Keuts Smith, who had filled in for an absent coach, had mixed feelings. “Well, I should be happy, that’s probably the most goals we’ve scored in one game, seven. Obviously I’m very pleased about the win but I’m just disappointed that we conceded a goal, because that is the one thing that we could have been proud of,” she related in reference to OutKast’s record of clean sheets prior to this game. Smith also agreed with Cabalan’s sentiment that the team was all over the place. 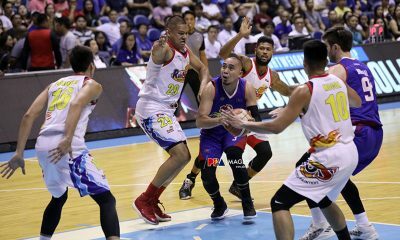 Kaya’s coaching staff, who usually takes losses in stride, were disappointed with the outcome, particularly with the calls the referees had or had not made. “It’s frustrating because it’s unfair to the girls. These kinds of officiating errors lower their morale. They’re not going to scream and shout at the referee on the field whereas other teams may have. I feel sorry for them, I really do,” coach Steve Nicholls explained. “We’ve also lost games before because of offside. Once is excusable, but four times? Sa akin, once you do it once or twice, okay. But if it’s often in one game, right away you’re thinking, ‘Is it bias?’ We don’t want to think it’s that way but four goals [is too much],” lamented manager Ramon Almeda, who hopes the match officiating will improve once the league returns in May. 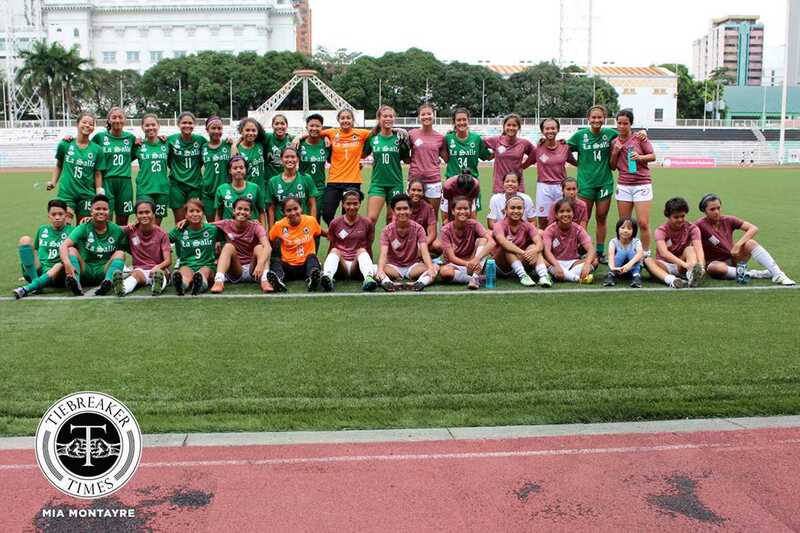 The Far Eastern University Lady Tamaraws had had a rough few weeks prior to this match which involved two players getting sent off on two separate occasions. This game saw a more composed squad that brought the team back to its winning ways, and that also jumped from ninth to seventh on the league table. A poor Fuego Espanya clearance led to Suettie Simoy scoring within five minutes to put FEU ahead early. In the 17th minute, Simoy passed to Kim Cupal on the side, whose shot went inside the far post. Two minutes later, the acting captain followed it up with an easy tap-in. Bia Requerme, who assisted Cupal’s second goal, added another two minutes before halftime. In the second half, Jean Brigette Kadil, who had been initiating plays from midfield, contributed a goal of her own after she dodged defenders and netted FEU’s final goal in the 61st minute. “Para sa amin ngayon bumabawi kami kasi yung mga past games namin parang wala lang. Ngayon bumabawi kami sa training, mino-motivate na kami ni Coach. Learn from your mistakes lang. 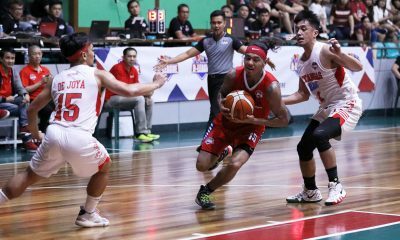 Yung game namin ngayon para preparation na din sa UAAP,” Kadil said after the game, admitting they probably needed the previous losses to learn lessons from it. 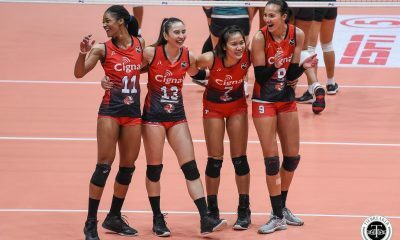 Assistant coach Glaiza Artus, who also praised Kadil’s performance, emphasized the importance of recovering from the bad results in their previous games. “Sabi ko nga kailangan nilang bumawi ngayon. Pangit kasi last game namin eh, ‘di maganda yung result so sabi ko ngayon pakita niyo sa lahat na kailangan natin mag-bounce back talaga. Kung ano yung game niyo, kung paano kayo maglaro, hindi yung same na nangyari last game. Nagawa naman,” Artus expressed, clearly pleased. She also thinks the team is ready for the UAAP season coming in two weeks, but revealed there are still some things that must be adjusted. “Ready na rin pero marami pa i-wo-work out lalo na sa finishing namin. Masyadong crowded pa lalo na sa midfield saka sa striker. Finishing kulang,” Artus added. 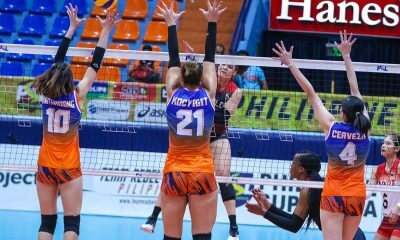 On their part, Fuego Espanya are still searching for a win, and manager Ivy Kerr hopes to find an answer during the break. “Well our plan is magkaroon ng proper training, and we’re looking for a field. Sana maayos ang schedule ng lahat kasi most of the players they’re working. So dun kami nahihirapan, yung sa schedule. Ang plan din sana namin is maki-scrimmage sa other teams,” Kerr said. 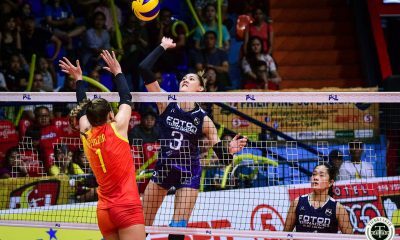 Last Sunday presented a rematch of last year’s UAAP finals; it ended with the De La Salle University sweeping the preseason round and staying on top, while the University of the Philippines dropped down to third in the ladder. A free kick in the 15th minute allowed Sara Castañeda to put the Lady Archers ahead. The Lady Maroons responded with decent attacks, but were foiled by the defensive play of the ladies in green. La Salle constantly searched for an assurance goal, but this did not come until five minutes into the second half when Castañeda received Irish Navaja’s pass from the flanks for an easy finish. 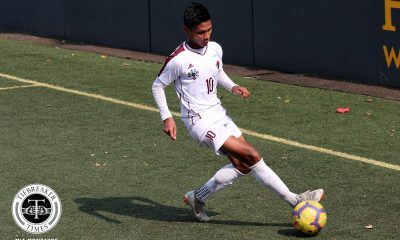 The goal broke the backs of the reigning collegiate champions, whose offense lacked bite in the absence of one of the league’s top scorers. “[Mary Rose Obra] has a knee injury. Wala pa yung MRI results eh, so we cannot really say exactly kung ano yun. 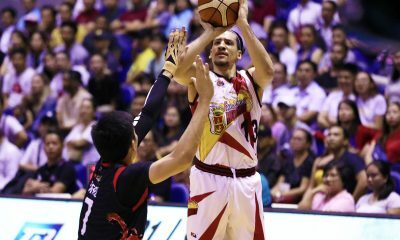 Definitely without Mary Rose, yung scoring strength namin nag-weaken,” admitted coach Andres Gonzales. But the UP tactician was careful to point out that her absence was not the only reason his team failed to convert on their chances. “In a team you have eleven players on the field. The absence of one player shouldn’t really make any difference. So it’s a matter of stepping up. Like what I [also] said, we’ve been slowly building up our training program. Kaya kami hindi naka-score is not because wala si Mary Rose but because we haven’t really taken up a lot of attacking plans, programs and sessions during our training,” explained Gonzales. 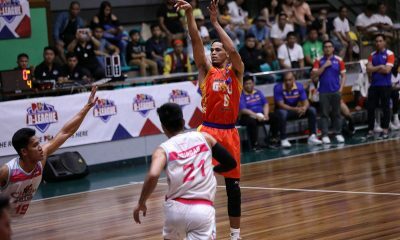 Whatever the outcome of Obra’s diagnosis, Gonzales promised that they will “prepare for the worst” in time for the UAAP. Meanwhile, his counterpart Hans-Peter Smit thinks his team is not yet ready for the UAAP. “Nope, not ready for UAAP. 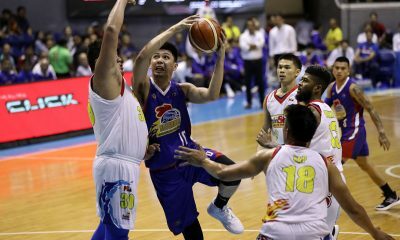 It’s attitude pa rin eh,” Smit insisted, brushing off his side’s perfect record, including the win over their tormentors last season. “Knowing my players through the years, through the decades, to my experience sometimes it’s a bad thing because attitude, thinking na, uy, kampante. That’s the one I have to watch out for. And definitely, the others need to do a lot more of sprinting and all that,” Smit maintained. His protégé Castañeda does find the spotless record beneficial, but also expressed caution at the same time like her coach. “I guess winning [and] not losing any of the games throughout this league is a good start for us in UAAP. 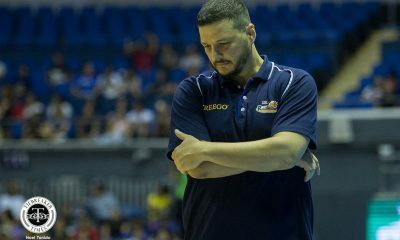 But we just can’t relax when we enter UAAP because like what happened last year, we were also undefeated but then at the last game we lost it so we still can’t relax at this point,” Castañeda remarked. She also echoed her coach’s sentiments on the challenges of staying at the top of the league. “Being on top is actually harder because there’s more pressure on you guys,” Castañeda added. Like Smit, she also believes in keeping the right attitude and in reminding her teammates of the dangers of becoming complacent. “We just have to always put in our minds that we don’t want the experience of last year happening again. 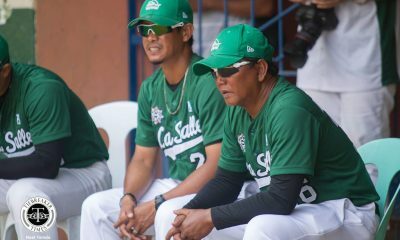 To not just relax and that we should always remember to play our best every game,” Castañeda noted. 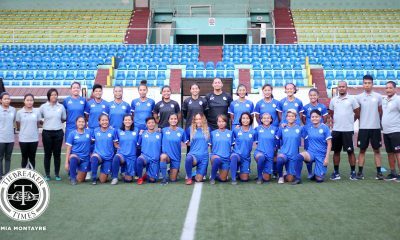 The Ateneo de Manila University Lady Eagles maintain their position at sixth after securing their third win in a tricky match-up against foes familiar with their play; after all, Hiraya FC is comprised mostly of players who used to play for the Katipunan-based squad. It was Nona Amoncio who put Ateneo ahead in the 38th minute after a foiled shot by Cam Rodriguez led to a pass back, which Amoncio easily slammed home. Three minutes after halftime, a scramble in the box led to Amoncio finding herself again unopposed as she slotted in a second goal. Six minutes later, Amoncio’s cross into the box found Pam Diaz who tucked away her side’s third goal. Hiraya put on the pressure for the rest of the game resulting in wayward attacks towards Ateneo’s end but keeper Mariane Caparros effortlessly dealt with them. After the game, coach Jaypee Merida didn’t sound too thrilled even with his side’s win. “Of course nakuha namin yung three points, yun talaga yung importante sa tournament na ito. Pero sa performance na pinakita ng team ko medyo disappointed ako especially nung first half nila. Ang ‘di ko lang nagustuhan dito hindi nag-perform ng maayos yung mga players ko. 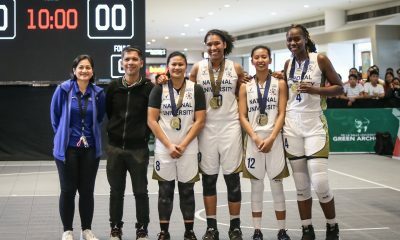 Hindi nila nilaro yung role na [pinapagawa ko] then ‘di sila sumunod sa plano,” Merida assessed, clearly thinking about the UAAP that comes in a few weeks’ time. “Compared sa last game bumaba sila. Sabi ko nga sa kanila, kung ganito performance natin pagdating ng UAAP, sabi ko walang mangyayari sa atin. Siguro ang [kulang pa] dito is yung preparation. Sana mag-step up sila,” he added. Merida also made sure to commend Amoncio, and especially Caparros. “Nona played well talaga, ganda nung mga movements niya, nung mga delivery niya, nagke-create siya. Yun yung maganda kaya tinapos namin siya sa 90 minutes. Regarding naman kay Mariane, she played well talaga. Ang ganda rin ng decision-making niya sa mga long pass, sa mga set pieces talagang ina-anticipate niya yung kalaban. For me, ganda ng pinakita ni Mariane. Para sa ‘kin kung may [player of the game] itong game na ito is para kay Mariane,” the Ateneo mentor deliberated. Amoncio agreed with her coach about the team’s performance. “It wasn’t our best for sure. Like in the dugout we discussed that we’ll use this game as our sort of momentum for UAAP since it’s our last competitive game before UAAP starts. But that’s not the result that we wanted. We weren’t aiming just for the win. We wanted to fix all the adjustments na sana, defensive and offensive. But we didn’t reach our goal today so we’re kind of disappointed. Kasi these are girls we’ve played with before so they know how we play. 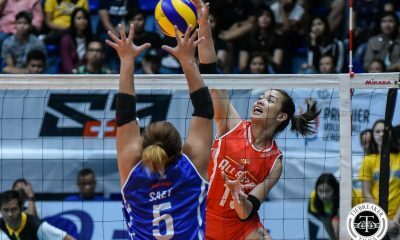 For sure our opponents in UAAP are more like them, more prepared to face us and like, basang-basa kami,” she expressed. Hiraya’s coach Philip Dinglasan sounded just as disappointed, especially with his team not managing to score, though he acknowledged Caparros’ performance. “Of course we’re disappointed because you know we had some chances na hindi [na-convert]. Actually the keeper was good. I think for us it was important that we were able to make the keeper work. At the same time, I think it wasn’t hard enough work for the keeper of the opponent,” he said. Hiraya plan to stay busy during the long break, including inviting club teams to some friendly games. “We want to initiate some effort or continue with what we’ve already progressed on. So we’ve scheduled practice games then we are also looking to join festivals so that the others who haven’t been playing in the tournament would be able to play and at the same time we don’t lose players diba. As long as there is activity for us that’s the most important thing. Then we also want to initiate effort to maybe schedule some games together with the other teams that are on break as well like us,” Dinglasan revealed. The Thomasians climb to fourth in the league table after blowing out The Younghusband FA, in a win that also saw the team bounce back from a string of losses. TYFA’s hopes at a competitive match were quickly dashed when they conceded an own goal inside the first four minutes. Two minutes later, Charisa Lemoran made matters worse for them when she doubled the lead for the University of Santo Tomas. In the 25th minute, Neriza Cuaresma’s one-touched shot from a Jan Christelle Cleofe cross saw the ball loop into the net. Seven minutes later, a through-ball enabled Hazel Lustan to pad their lead to four. She also assisted on a goal when Cleofe went for a top corner shot at the stroke of halftime. TYFA struggled to contain the bleeding, but Lemoran continued to be a nightmare when she scored her second of the game nine minutes into the remaining half. In the 70th minute she completed a hat-trick after beating TYFA’s defense again. In the 84th mark, a stunned Korean-born Yehee Eom was visibly delighted as she scored her first goal ever to bring UST’s total to eight, but wrong judgment in injury time led Nicole Ramores to score one for the ladies in blue. Surprisingly, the Lady Tigresses didn’t sound too pleased with their efforts after the game. Lemoran, whose three goals put her back on top of the scoring rankings, insisted that she hadn’t been efficient enough. “Medyo frustrated din kasi oo nga naka three goals ako [pero] meron din akong tatlong one-on-one na na-save ng keeper, tatlo ding mali so parang sayang din naman. Kasi sa team sayang naman yung mga training namin, yung mga sacrifice tapos wala lang. 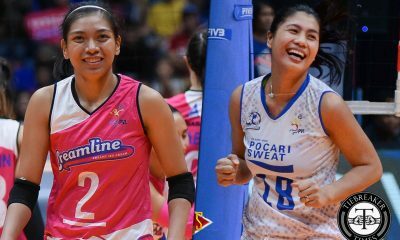 As a striker, yun yung role ko dun, mag-score lang ng mag-score kung ano binibigay sa akin,” she explained. 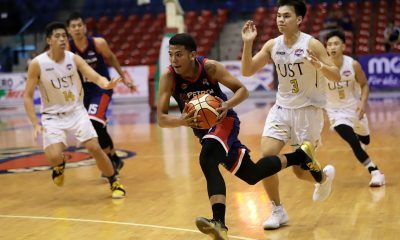 Lemoran thinks there is still time to fine-tune their game before the UAAP season starts, and hopes that the team will do a better performance this year compared to finishing in last place last year. “Sa team namin ngayon, medyo may kulang pa kami. Parang hindi kami consistent. Pero ita-try namin kasi may two weeks pa para ipa-polish sa training namin. Siyempre gusto din namin at least bumawi man lang. Kasi ‘di namin gusto na magaya ng dati. 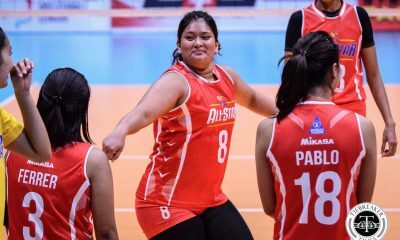 Kaya ngayon parang pinu-push namin mga teammates na huwag lang talaga mag-give up kahit anong mangyari. Kasi last year, yun yung dahilan kung bakit ganun yung performance namin,” Lemoran related. UST coach Aging Rubio was also not satisfied despite seeing some individual improvements. 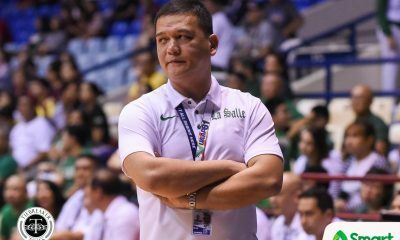 “Ito sobrang importante kasi yung games namin before UAAP, ngayon tina-try namin i-address kung ano yung naging problema namin nung last game against La Salle. Eh, medyo, malaki pa rin problema namin. 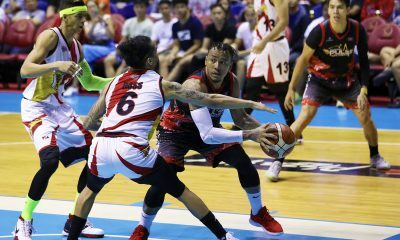 “Yes, we scored a lot, pero yung play na kailangan namin ipakita, hindi pa rin nangyayari. 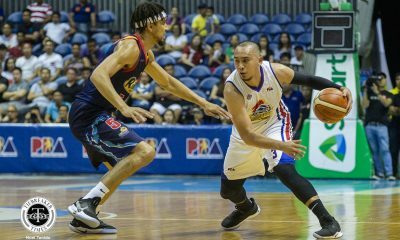 Pero may mga improvement naman sa mga ibang players, pero as a team same problem ‘di pa rin nagagawa,” Rubio expouned. The Lady Tigresses’ game relies heavily on speed and fitness, and Rubio hopes it will be an asset going forward. “Kailangan din namin naka-condition kami kasi sayang kung meron skills pero ‘di naman kami makakatakbo ng maayos. So ang labanan naman ngayon hindi lang puro skills eh, kailangan you really have to run, and of course, kailangan masipag. Kasi lalabas lang yung sipag namin kapag kaya ng katawan. 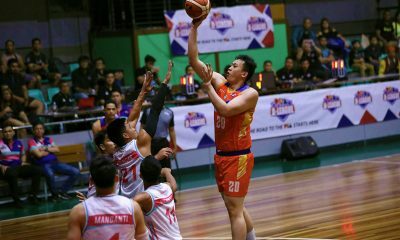 Eh, sayang din yung malaki yung puso at masipag yung players pero ‘di naman kaya physically kasi hindi conditioned. So tina-try namin i-balance,” Rubio elaborated. Like the rest of the club teams, TYFA plan to keep busy during the lengthy break while addressing the team’s problems such as training. “Wala kaming training talaga. So itong game, ito na yung training namin. Ngayon na mahaba-haba yung break, magse-set kami ng date na makapag-training kami ng buo. 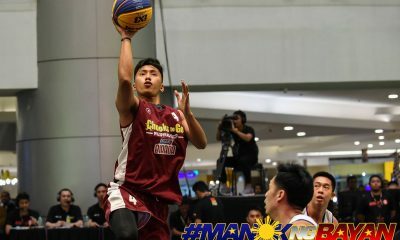 Para naman makabawi kami sa next round at para ‘di rin masayang mga panalo namin. 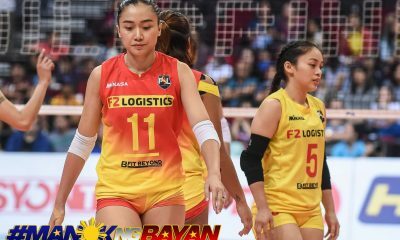 Kailangan namin magpursige,” captain April Reyes admitted. She hopes this will improve their chances when the league returns in May. 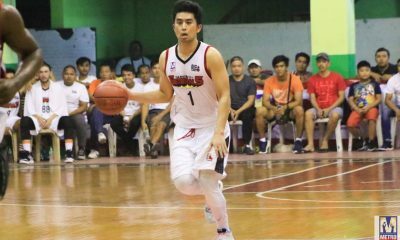 “Onti-onti naman naming binabago kung ano yung mga mali namin nitong five games, i-apply namin yun para mabago namin sa pang-anim namin na game. 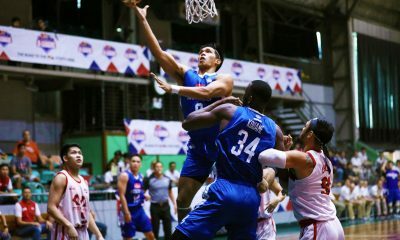 Target din namin na makapunta kami sa taas o sa top four man lang,” Reyes added. The PFF Women’s League will take a three-month break to give way to UAAP Season 79 and will resume action in May.